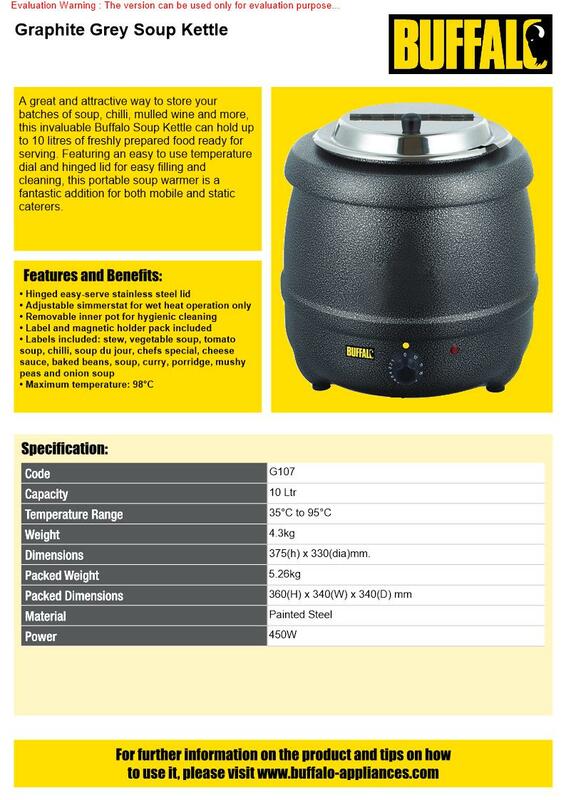 The Buffalo soup kettle is a great solution for storing large batches of piping hot soup, chilli, mulled wine and more. 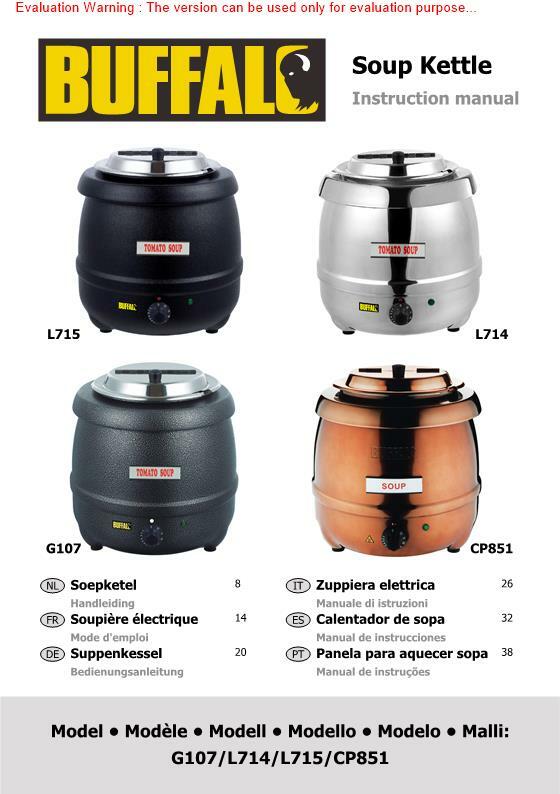 Able to effectively hold up to 10 litres of freshly prepared food ready for serving, the soup kettle features an easy to use temperature dial and a handy hinged lid for easy filling and cleaning. 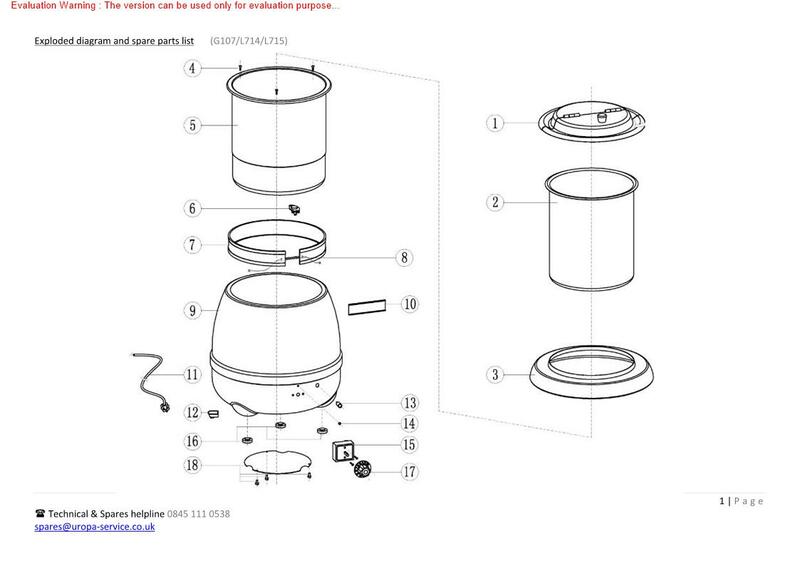 Perfect for both mobile and static installations.Please note: warming only - not suitable for cooking food.